Cindy Hendricks is a chef, chauffeur, counselor, nurse, housekeeper, mother of 2 middle schoolers, wife and part-time teacher’s aide at The Butterfly School at Riverside Church of Christ. She lives in Coppell. I have always exercised in some way and a few years ago found myself enjoying yoga, but it wasn’t giving me the cardio I needed to lose the pounds around my waist. I was also volunteering full time and skipped the exercise when I couldn’t fit it into my schedule. I loved the variety in the workouts with cardio and weights, the boot camp times were perfect for my schedule and the nutritional aspect was something I was already interested in, so I liked that it was part of the program. I got the impression this exercise was not just about getting in a workout and going home. 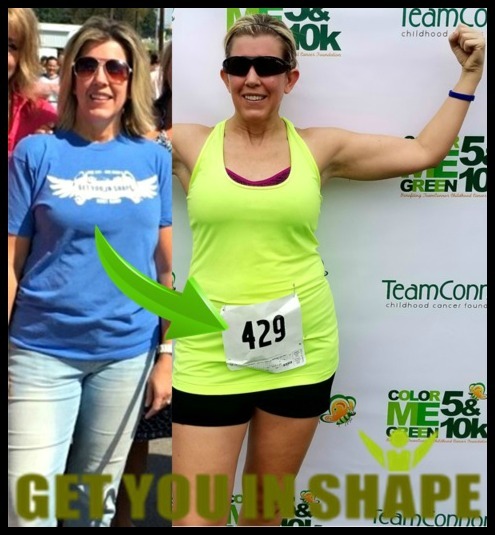 I was stepping on a scale to see my weight, Brad and Cynthia were walking me through a cleanse and I was meeting people with the same goals when it came to fitness and overall health. I enjoy the nutritional workshops, the nutritional products they recommend and the Group Challenges, they are definitely a challenge, but it’s a great way to reboot your mind and body. The variety of the entire program is what makes the difference. You give us so many ways to be healthy: boot camp, cardio club, foam rolling class, the Facebook page where we can get trainer tips and healthy recipes. PLUS, I thought I’d come to boot camp, exercise and leave without really knowing anyone. That was what I was used to. Get You in Shape is about community. Everyone knows each other because the trainers introduce everyone and we are all supporting and encouraging each other every day at boot camp. I am most definitely stronger and leaner. Most recently, I did the weight loss challenge back in the fall and lost 8 pounds. I was pretty satisfied 3 years ago to run a 5K but Get You in Shape helped me learn to be a better runner and build my endurance and my confidence so much that I now run half marathons! 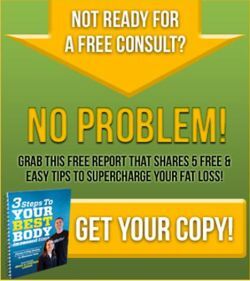 You have nothing to lose and everything to gain at Get You in Shape boot camp. It is not a grueling workout. Every part of it can be modified for you. Trainers will be at boot camp working out with you when they’re not training. You’ll love the outdoors and be hooked by the support from fellow boot campers and the results you’ll see from all your hard work. If you live or work in Coppell, Valley Ranch, Irving, Lewisville, Las Colinas, Carrollton, Flower Mound, Grapevine, Addison, Corinth, Highland Village, Dallas, and Famers Branch, the Coppell Group Personal Training is just minutes away from you. Get You In Shape’s programs include the Get You In Shape Group Personal Training, 24 Day Challenge, sports specific training, weight loss programs, Corporate wellness plans, nutrition plans, core fitness training, strength training, toning and more. Clients include athletes (golf, basketball, tennis, football, track, baseball, baseball, volleyball, and softball) corporate executives, professionals, weekend warriors, cheerleaders, dancers, models, stay at home moms, and anyone looking for results. Owner Brad Linder, has been featured in numerous newspapers and even as the fitness expert on the news 8 (ABC). 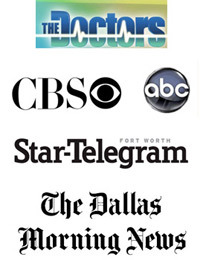 Get You In Shape was also featured on The Doctor’s TV show as one of the top Fitness Companies in Texas. He continues to use the gifts that he has been given to help serve the needs others have when it come to being healthy, losing weight, sports, toning up, and overall fitness.